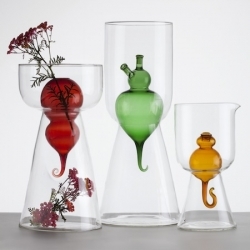 'Bulbovetro' vases by Valentina Carretta and Fabrica for Secondome Gallery. Three organic shaped vases made from white and colored glass and can also be used as oil lamps. 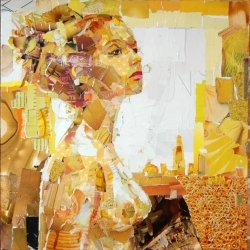 Amazing collage portrait by Derek Gores. Room for Thought - Madelon Vriesendrop and Charlie Koolhaas. 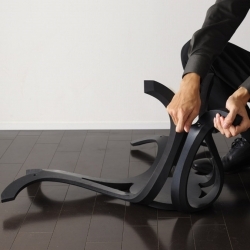 'Pinocchio' stool by lithuanian designers from onetwo. 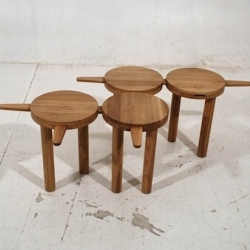 A tiny wooden modular stool inspired by Carlo Collodi, creator of Pinocchio. A new pop-up bar in Sydney lives up to meaning - literally - with benches that spring out of the walls and beer bottles that are hoisted up on a pulley system. 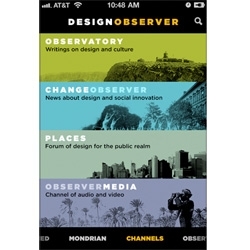 Design Observer launches an iPhone App! 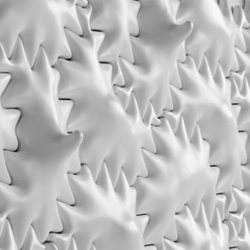 Milky Star is a ceramic wardrobe formed in the likeness of a natural model. 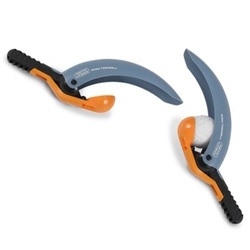 Star-like pads, some with and some without hooks, interlock like fingers of two hands. 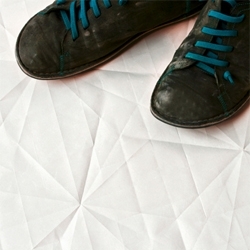 Milky Star is a single unit working as a wardrobe for a wall. 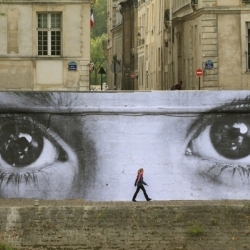 By Pudelskern, Austria. 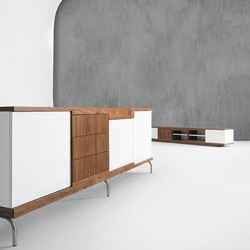 Beautiful Credenze and Entertainment unit by Australian Designer Richard Park. 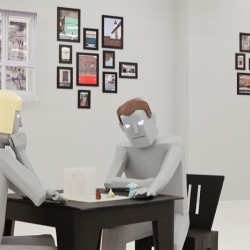 VIDEOHillarious conceptual indoor mapping performance from nerdworking gives facts behind the curtain of gated communities , such as energy of life and abstract links of the buildings. Cool Hunting takes a beautiful look at The Aigle exhibition "Savoir Faire, Savoir Vivre" at Merci ~ and a peek at how they are made! 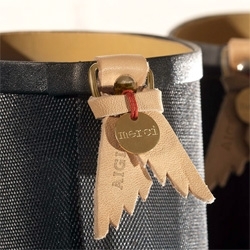 Gorgeous wellies and a HUGE wooden one in the center of Merci! 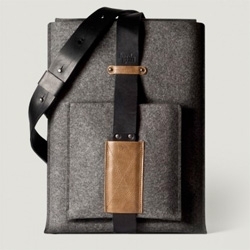 Hard Graft launches the shoulder macbook sleeve! 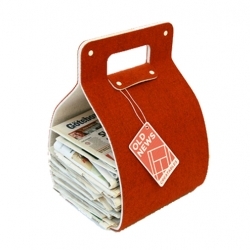 This magazine collector has been made from spillover material when making tennis courts. 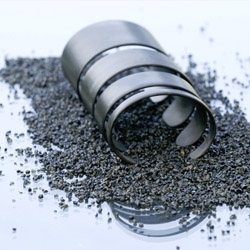 A great way to use spill instead of wasting it. 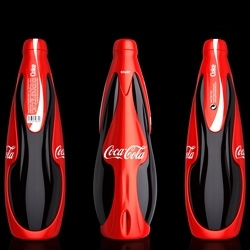 The Mystic Coca Cola Bottle by Jerome Olivet is an attempt to bring happiness in 3 dimensions! 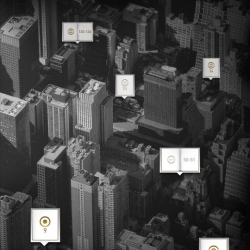 In Bing's new 'decode Jay-Z' site, over 300 pages of Jay-Z's life and lyrics are placed in the streets. 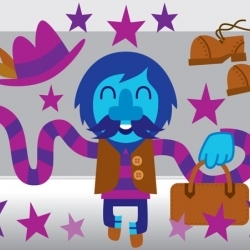 You pick a clue, decide the path and claim the page in this online game. 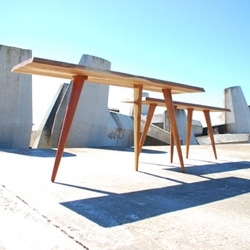 Beautiful woodworking by South African designer/maker Giles Coleshill. 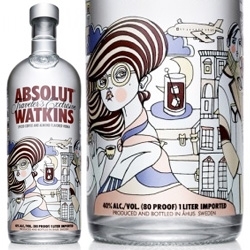 Absolut Watkins, traveler's exclusive limited edition designed by swedish artist Liselotte Watkins. 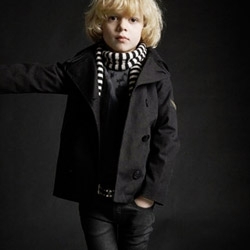 Finger in the nose, stylish French clothing label for kids. 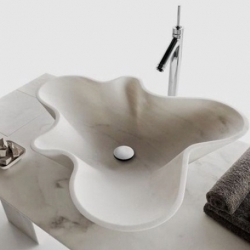 These modern Kreoo Nabhi stone sinks were created by Decormarmi. 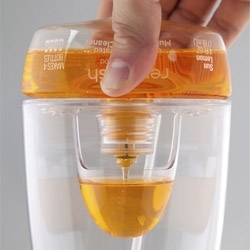 Replenish spray bottle. Made from recycled plastic, the design uses a twist-on concentrate pod thats contents mix with water in the upper compartment. 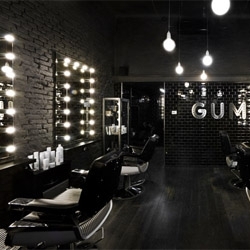 Gum salon in Milan's Ticinese area. Great interior! 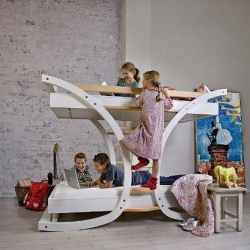 There are a lot of alternative varieties and designs of beds for your kids. 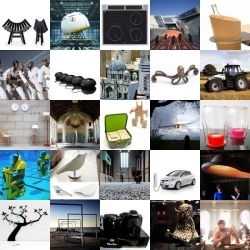 Mimondo focuses on new and innovative thoughts concerning design, production and use of materials. 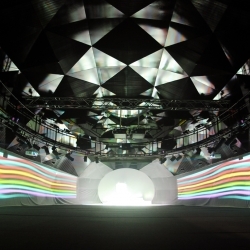 FORMA vs MATERIA at Galleria Cristiani in Torino. 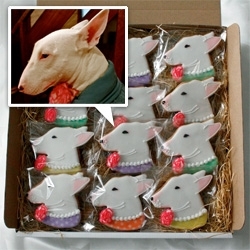 A raid into the contemporary jewelry world. 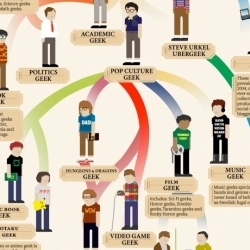 Curated by Mariola Demeglio and Maria De Ambrogio. 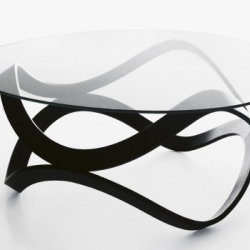 A glass coffee table like no other. 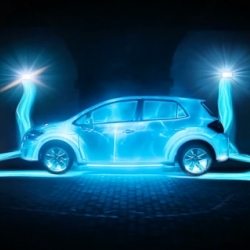 Newton was designed by Staffan Holm and Dan Sunaga for Karl Andersson & Söner. Newton is the perfect complement to your seating areas at home, in the office, lobby or reception area. 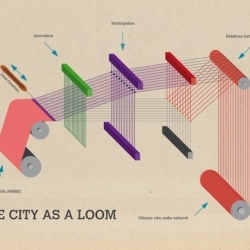 The city must be seen as a big loom that weaves ideas, experiences and responses to needs with patience and speed, for sewing a territory but also a strong and ready for new developments social fabric. 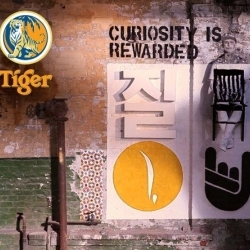 Poster for Felicity Project 2010. 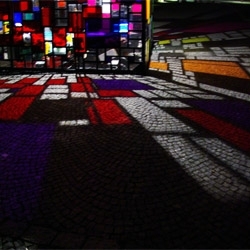 Kolonihavehus from Tom Fruin is composed of a thousand pieces of found Plexiglass. 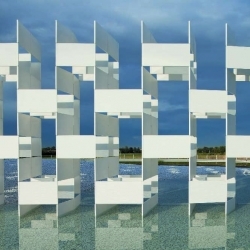 The pieces is located outside the Royal Danish Library in Copenhagen. h220430's rubber stool is cute and practical. 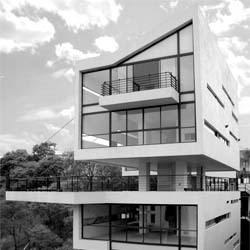 4 Casas in Mexico City by Gaeta Springall Architects are perched on a steep ravine. 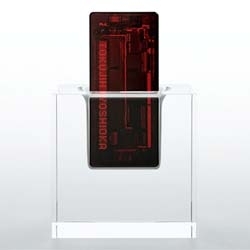 Tokujin Yoshioka teams up with KDDI iida to create x-ray, a mobile phone with a transparent body. Howeler + Yoon Architecture created these floating orbs, which are enabled by RFID tags. 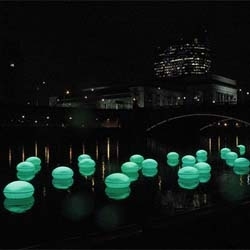 When visitors sit on the orbs on the bank, corresponding orbs floating in Philadelphia's Schuylkill River light up. 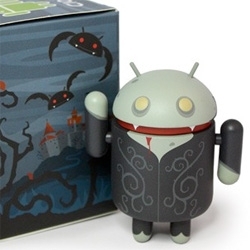 FEATUREDThis week’s roundup is full of beautiful things (as always), ranging from toys to tractors. 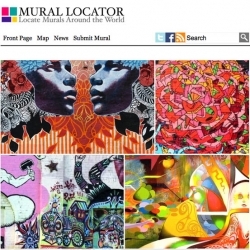 Mural Locator is a simple to use web tool for helping people locate murals around the world. 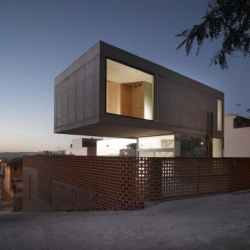 Two atretic houses - balanced one of top of the other - form this single-family home in Spain by Javier Peña Galiano. 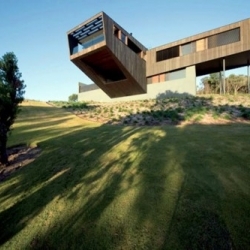 Surprising from every angle. 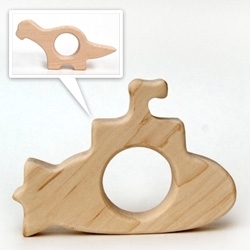 Little Sapling Toys ~ adorable wooden teethers ~ NOTCOT favorites? Little Submarine and Bronto! "Blue Marlin" office by SOFTlab. 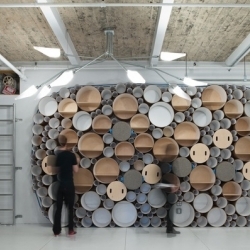 A creative space with a circle packed wall made of paper tubes and a flexible felt wall system. 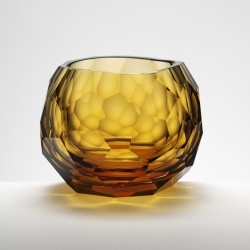 Glacier Collection by David Wiseman was created for the Czech company Artêl and the collection include the bowls you see in the post, a vase, and two glasses.